I mean, let’s take a second to just comprehend this and let it soak in, we’re a bunch of female athletes, mostly religious, but that’s a blog entry for a whole other occasion ,and yes, you heard me correctly, we play American Football. So how did we get here? How did fifteen of us from different countries in the world all come together in our tiny country in the Middle East and start a women’s flag football league, let alone a national team. Not to brag, but this isn’t just any flag football team, we are currently ranked third place in Europe, which is most definitely something to be proud of. Shana Spung, her story has probably been told dozens of times, heck, I can tell it myself. 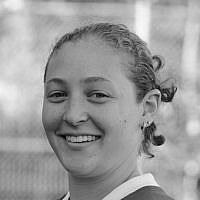 In 2004 at the age of 18, Shana was throwing around a football during one of the men’s flag football games. She was approached by Steve Lebowitz, the President of the AFI (American Football in Israel) and asked if she and her friends would be interested in starting a women’s team. Of course, before that moment, Shana had only ever played backyard football and hockey with her brothers, but she eagerly replied that she would love a chance. That year, a team of 12 inexperienced young women flew to the Dominican Republic to compete in an international tournament, with no prior experience and no clue what they were getting themselves in to. After coming in fourth at their first tournament, the original team returned to Israel and began WAFI (Women’s American Football in Israel). The first season had four teams of girls who jumped at the chance to play an American sport in the holy land. Since then, the league has grown to 14 teams and over 200 women who come out every Monday night to compete in the sport we all love. Then there’s Estie “Baseball” Bernstein, the first time she strolled on to the football field she was 12 years old. Coach Yonah for the life of him just couldn’t remember her name (if you think he was forgetful then, you should see him now), the only thing he could remember about her was that she was a phenomenal baseball player. I guess when you look at her she does resemble a baseball just a bit, where a baseball is small, round and white, one should wonder where a Jewish girl from Cincinnati gets such a dark complexion from. I can picture it now, every time he looked at her he thought to himself, where did this little braceface get her talent?? Switching from baseball to football is like transferring from ballet to karate. But lo and behold, nine years later, that short Jewish girl is still rocking the defensive side of the ball as if it’s what she was born to do. For now, that’s just a small taste, stay tuned for more. Less than five weeks to game time!! !